Our product range includes a wide range of aplex mud pump spares, mud pump spares and cylinder liner. Aplex sc-230, 165, 170l : valve assembly( valve body, seat, cage & valve insert with spring ) all are ss-316. With 4. 1/2" piston assy, liner, pony rod. We are engaged in offering a wide range of Mud Pump Spares to our valued customers. 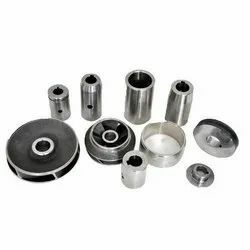 Owing to their dimensional accuracy, longevity, and optimum performance, these spare parts are widely demanded in the market. Made out of high grade materials, these are in compliance with the highest quality standards. 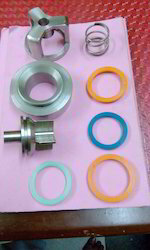 We subject these products to numerous tests based on several parameters to ensure that they are free from any defects. We bring forth Cylinder Liner for our valuable customers. 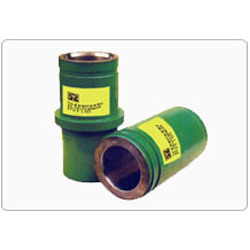 These cylinder liners are extensively utilized in oil pumps. Offering high corrosion and impact resistance, these liners are known for their durability. Premium quality materials are procured from established vendors, for the purpose of manufacturing these products. Further, these cylinder liners are tested thoroughly, before being made available to the customers. Size : 5.1/2" to 7"
Looking for Mud Pump Spares ?